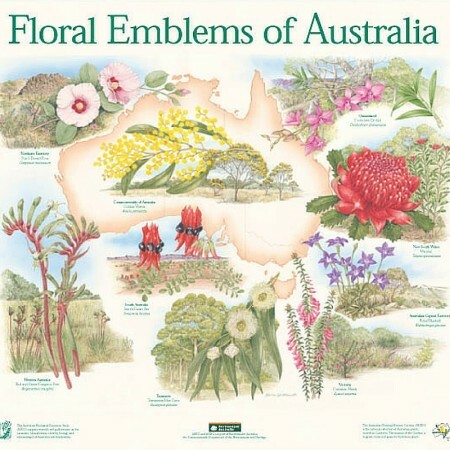 Did you know each Australian State and Territory has a unique floral emblem? Victoria was the first State to appoint one, selecting the pink Common Heath in 1958. Native to the southeastern states of Victoria, Tasmania and South Australia, the red, pink or white tube-like flowers of the Common Heath bloom from autumn to spring and attract birds like the honeyeater. Other floral emblems include the Waratah (NSW), Cooktown Orchid (QLD), Sturt’s Desert Pea (SA) and Kangaroo Paw (WA). The Golden Wattle was announced as our national floral emblem on 1 September 1988. Talk to our florists to order a bouquet of natives for Australia Day!